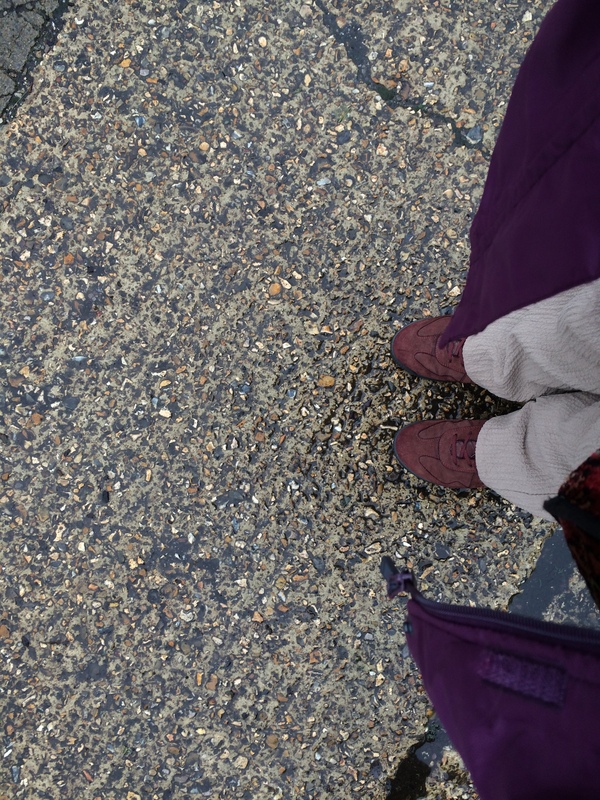 I have fought against a purple coat for years….. I have a purple coat, no red hat yet! Is that a sidewalk? Whatever it is, it looks like it would really scrap up your knee if you fell on it.